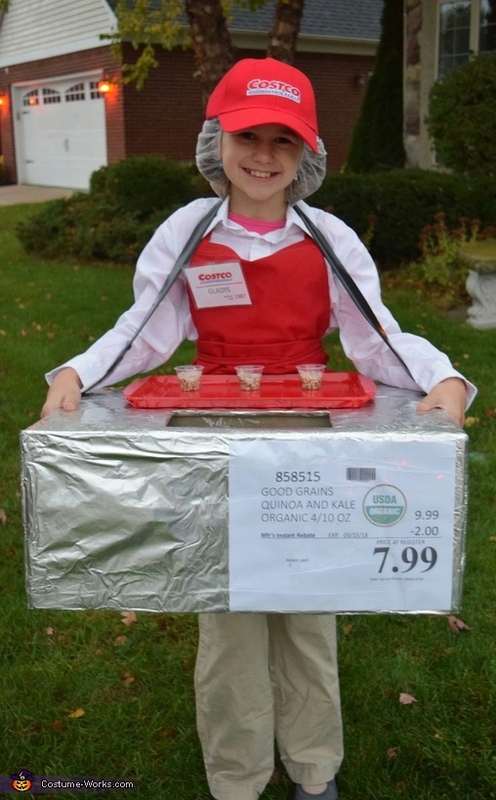 Our daughter, Julia, loves to go shopping at Costco and try samples. The costume idea was a natural fit. :) We made her table out of a cardoard box, wood and aluminum foil. The nametag and pricetag were created with some help from internet searches of pictures. She used her brother's dress shirt and khakis. We had a red apron. Our local Costco gave her a hat and hairnet - how sweet! She was a big hit at the school parade and around the neighborhood - so fun! !